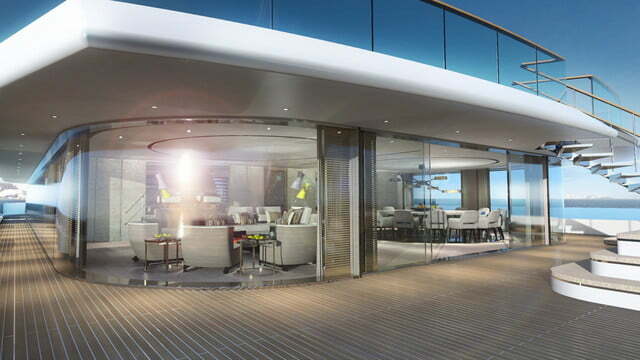 Most superyacht images depict traveling in the Caribbean or the Meditarrean, with an emphasis on beautiful people, sun decks, pools, and luxurious living. 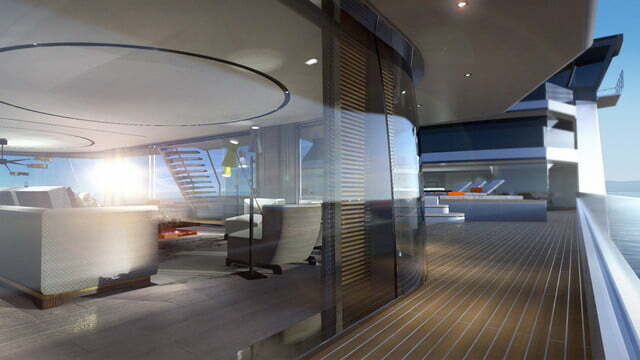 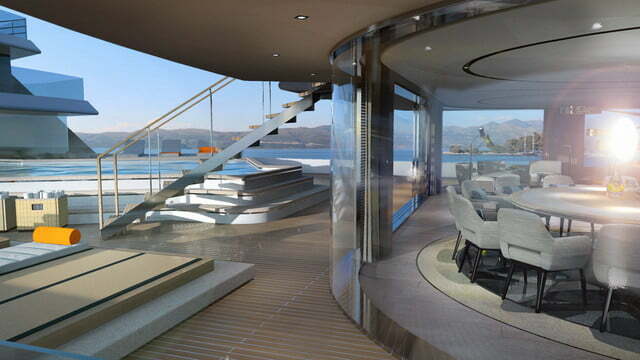 Vard 1-08 Kilkea is not a typical superyacht. 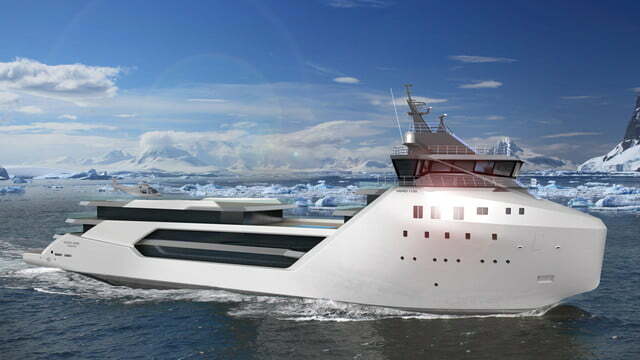 When she’s finished, Kilkea will be prepared for expeditions in any water that can handle her 16-foot draft, including the Arctic and Antarctica. 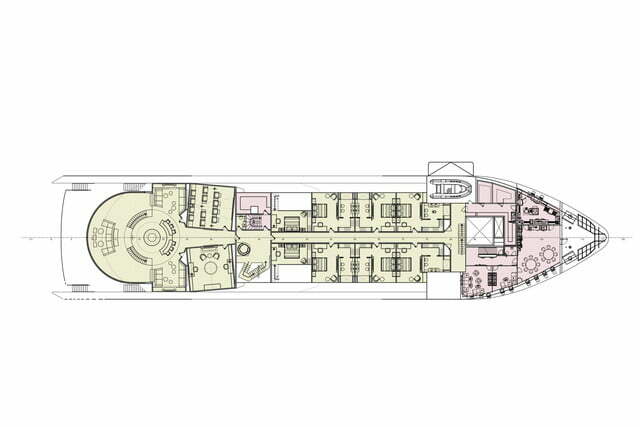 Kilkea is 268 feet long and 59 feet wide at her widest. 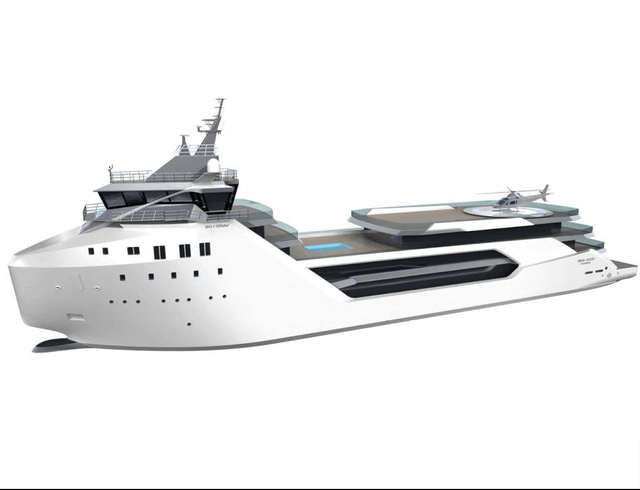 She started as a platform supply vessel, according to New Atlas. 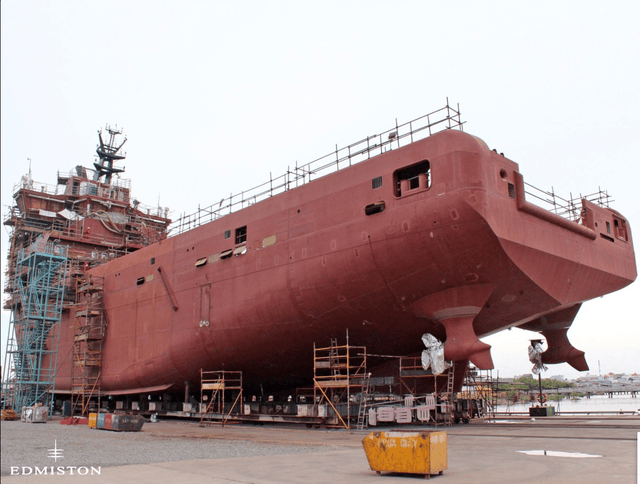 She’s a container ship that has been stripped and is now in the process of conversion at Vard shipyards. 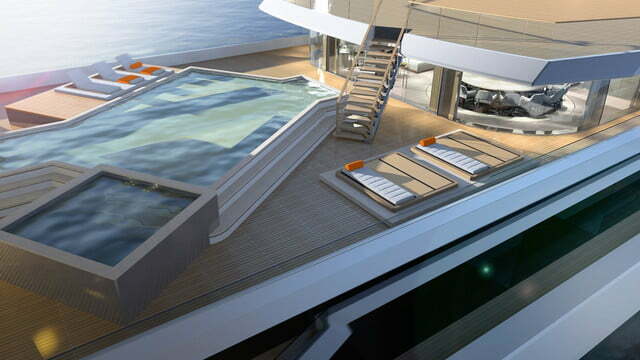 Shackleton Superyachts is the builder., while U.K. yacht designers Bannenberg & Rowell Designs are designing the exterior and interior. 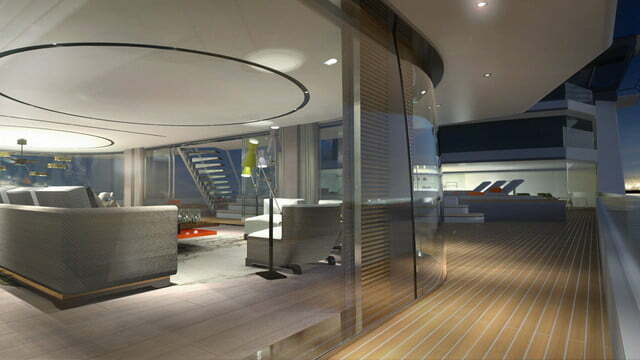 The superyacht is brokered by Edmiston Yacht Brokerage. 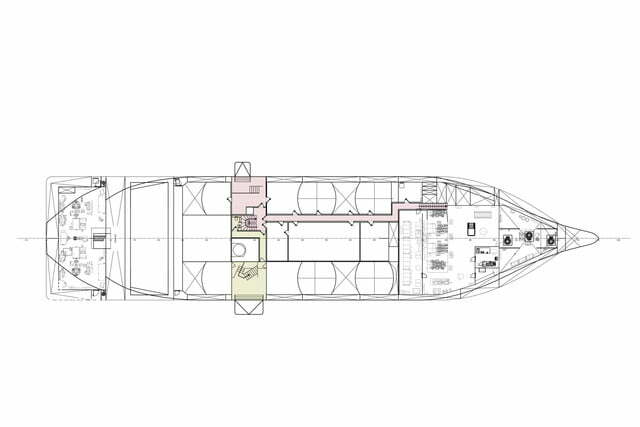 Kilkea’s ice-classed hull will be able to travel much farther north and south than most superyachts, but she’s not an icebreaker, so her crew will have to be cautious. 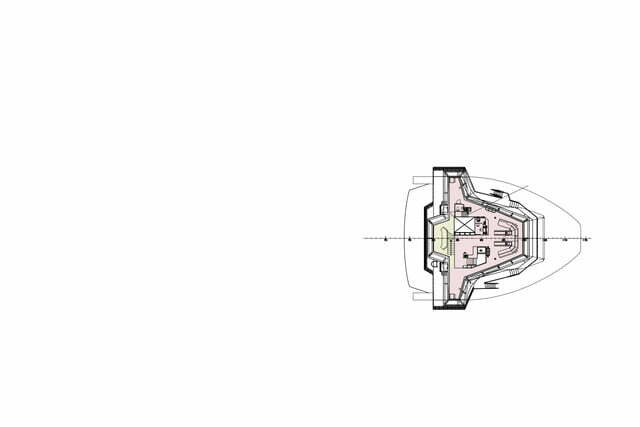 She is designed to go up to 30 days without re-stocking or re-fueling. 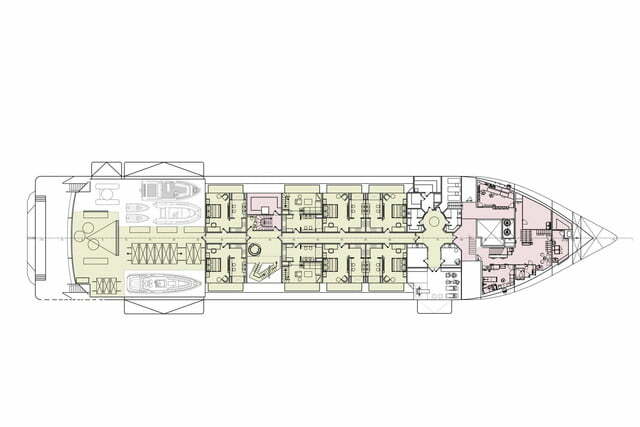 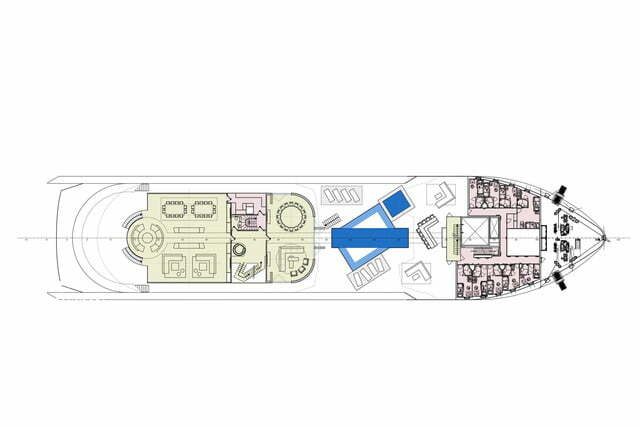 The ship’s owner will be able to host up to 36 expedition guests depending on the final layout decisions. 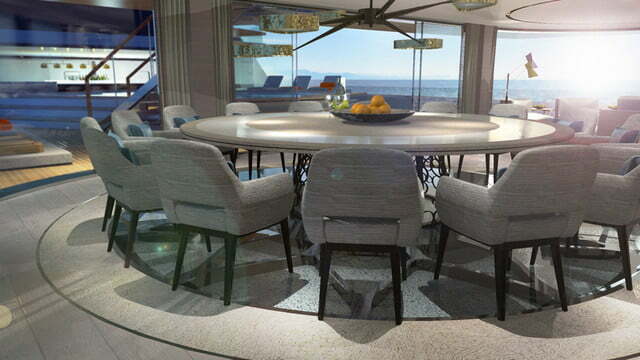 The current plans include a proposed helicopter deck and space for stored tenders and small planes so guests won’t have to meet Kilkea in port. 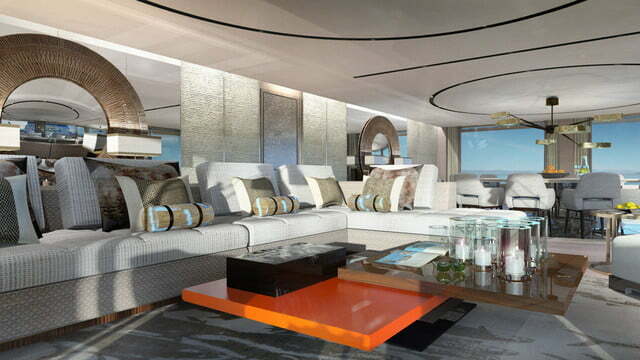 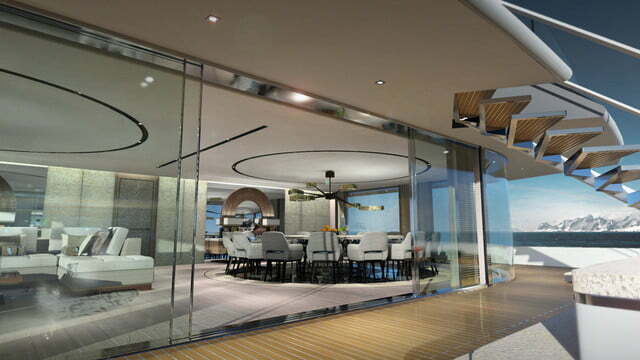 There will be plenty of room for spacious salons, dining rooms, and lounging areas. 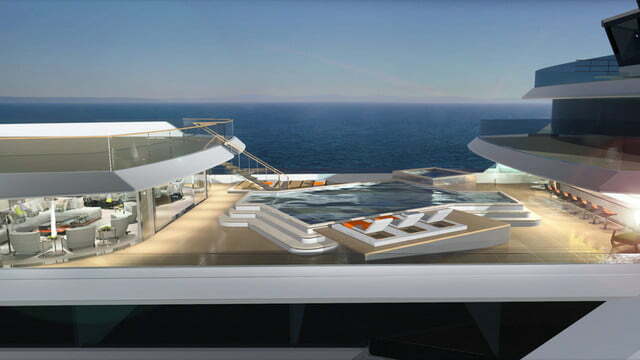 One of the concept images shows a pool with lounge chairs, which doesn’t quite fit with travel through icy waters. 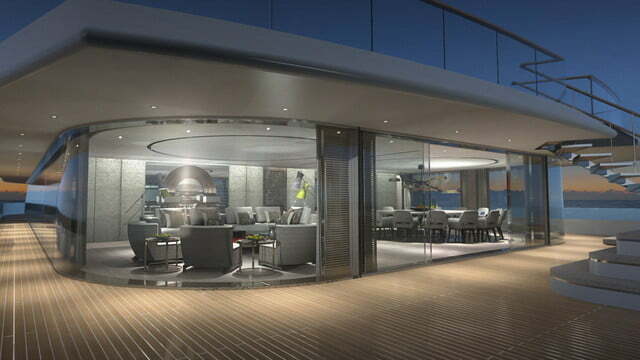 On the other hand, not all expeditions are in cold climates. 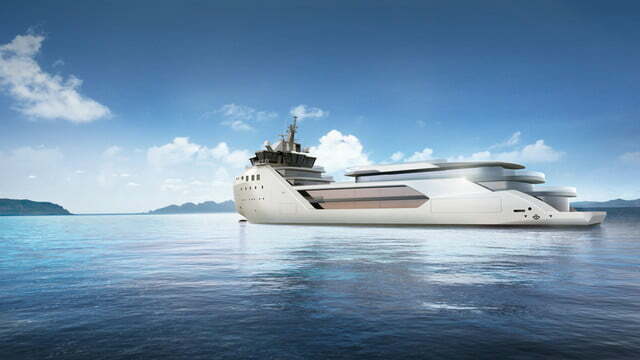 Although Kilkea is a large ship, the conversion has focused on eco-consciousness and low fuel consumption. 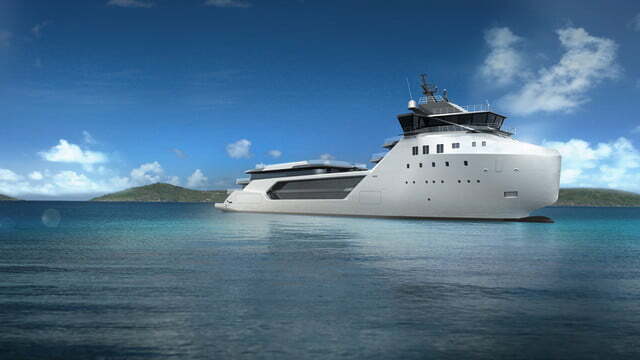 She will have a top speed of 15.4 knots and cruise at 12 knots. 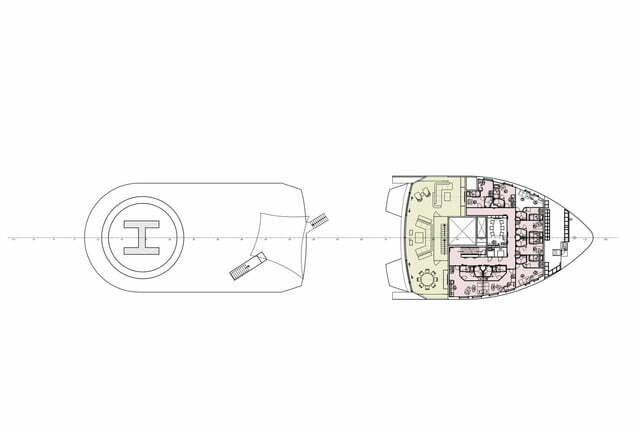 Ample power for her expedition is provided by four electric generators paired with four diesel engines that drive two adjustable pitch propellers. 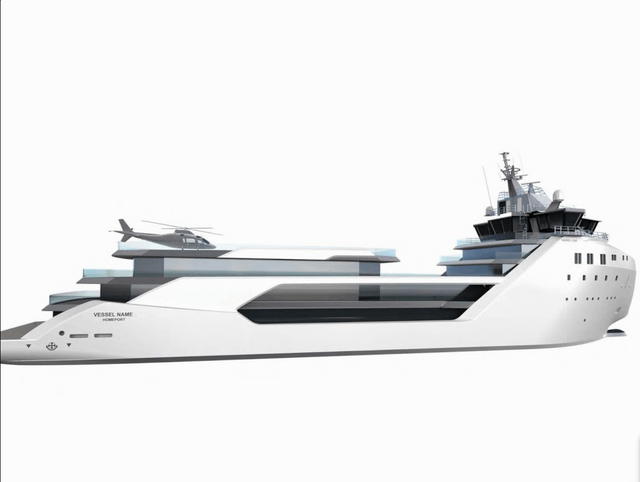 Chances are the eventual buyer will change the Vard 1-08 Kilkea’s name. 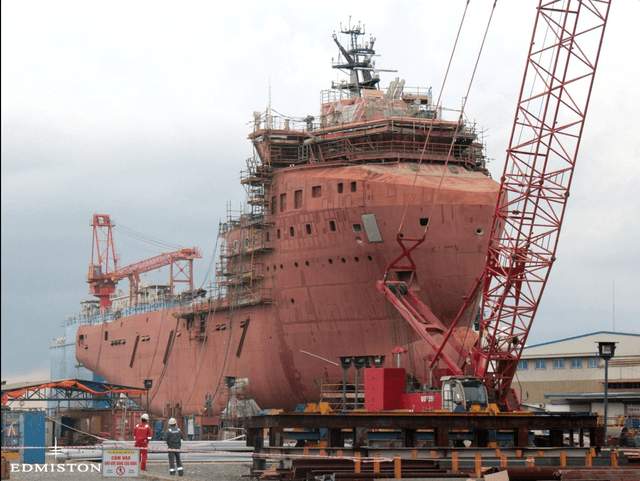 They’ll have the right to do so after paying the ship’s $72 million price tag.